The Internet is all around us, and in today’s technology-oriented world, the number of online learning programs has greatly expanded. While some may think that online education is of lower quality than programs offered by traditional colleges and universities, statistics alone can prove those opinions wrong. Employers now consider degrees and professional certificates earned through distance learning programs valuable, and one degree that has many career options is accounting. There are both practical and academic benefits to studying accounting online. Flexibility: Online degree programs allow you to balance learning with family and work responsibilities. Location: If you cannot get to an on-campus university, an online accounting program allows you to study at home. Easy access: As online degree programs have developed, many have greatly reduced or dropped requirements to access online courses. Variety: You can choose from many different online programs and courses. 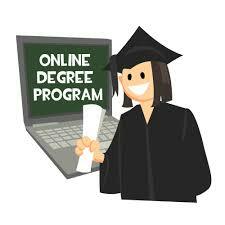 Support: Most online programs offer you strong support from university tutors and with personalized feedback. You can even use the Internet to research which online accounting programs may be right for you. For example, visit MVU Online to learn more about studying accounting through the Internet. Enhanced class dialogues: Often, classes over the Internet have discussion forum assignments. Through these, you can better understand fellow students’ views, as well as profit from detailed class material discussion. Improved virtual communication skills: Successful online students learn to be organized and succinct when expressing their thoughts, and they also learn to adapt to new communication technologies. Better knowledge retention: Multimedia methods of learning, including bold graphics, can heighten memory by offering powerful sensory prompts that help your brain retain details of what you learned. Online accounting programs can give you a rich learning experience and valuable, regular interaction with like-minded students, both of which can enhance the knowledge you take away with your degree. While bookkeeping is often a task that accountants perform, today’s professionals also have numerous other work possibilities. With the many career options that have opened up in the accounting field, you can use your online accounting degree to find a job that pays well and is tailored to your individual interests. An accounting degree can offer flexibility, and it is a strong choice in today’s competitive and complex job market. The field of accounting has a bright future. It will continue to grow for some years, according to the United States Bureau of Labor Statistics. These predictions, in addition to the wide variety of career specialties within the accounting field, make pursuing an online accounting degree a solid investment in your future.